Monthly mortgage payment is almost always become the largest expense of property ownerships. In the earlier years of a mortgage, the bulk of the mortgage payment covers interest that generally is tax-deductible. In this post, I discuss how to factor taxes and your financial circumstances into making smart mortgage decisions. What you’re really asking, if you’re considering whether you should take a 30-year or a 15-year mortgage, is whether you should pay off your mortgage slowly or quickly. The answer isn’t as simple as some people think. Unfortunately, you have thousands of mortgage options to choose from. Fixed-rate and adjustable-rate mortgages come with all sorts of bells and whistles. The number of permutations is mind-numbing. From a tax perspective, one of the most important mortgage selection issues is whether to take a 15-year or 30-year mortgage. To afford the monthly payments, most homebuyers need to spread the loan payments over a longer period of time, and a 30-year mortgage is the only option. 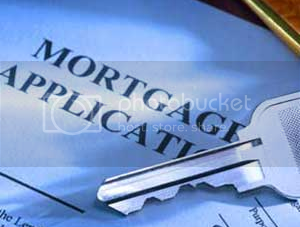 A 15-year mortgage requires higher monthly payments because you pay it off more quickly. Even if you can afford these higher payments, taking the 15-year option may not be as smart as you think. The money for making extra payments doesn’t come out of thin air. You may have better uses for your excess funds. First, think about alternative uses for the extra money you’re throwing into the mortgage payments. What’s best for you depends on your overall financial situation and what else you can do with the money. When you elect the slow, 30-year mortgage payoff approach and you end up blowing the extra money on a new car, for example, you’re better off paying down the mortgage more quickly. In that case, take the 15-year version. (If you want to buy a car in the future, saving in a money market fund so that you don’t need to take out a highcost car loan makes sound financial sense). But suppose that you aren’t so frivolous with your extra money, and instead, you take the extra $100 or $200 per month and contribute it to a retirement account. That step may make financial sense. Why? Because additions to 401(k)s, SEP-IRAs, Keoghs, and other types of retirement accounts generally are tax-deductible. When you dump that $200 into a retirement account, you get to subtract it from the income on which you pay taxes. If you’re paying 35 percent in federal and state income taxes, you shave $70 (that’s $200 multiplied by 35 percent) off your tax bill. (You’re going to pay taxes when you withdraw the money from the retirement account someday, but in the meantime, the money that would have gone to taxes is growing on your behalf). You get no tax benefits from that $200 when added to your mortgage payment when you elect a faster payoff mortgage (15-year mortgage). With kids, you have an even greater reason to fund your retirement accounts before you consider paying down your mortgage faster. Under current rules for determining financial aid for college expenses, money in your retirement accounts isn’t counted as an asset that you must use toward college costs. If you’re uncomfortable investing and would otherwise leave the extra money sitting in a money market fund or savings account — or worse, if you would spend it — you’re better off paying down the mortgage. Take the 15-year approach. If the investments in your retirement account plummet in value, the impact of the tax-deferred compounding of your capital may be negated. Paying off your mortgage quicker, on the other hand, is just like investing your money in a sure thing — but with a modest rate of return. In most cases, you get to deduct your mortgage interest on your tax return. So if you’re paying 7 percent interest, it really may cost you only around 4 percent to 5 percent after you factor in the tax benefits. If you think that you can do better by investing elsewhere, go for it. Remember, though, that you owe income tax from profits on your investments held outside retirement accounts. You aren’t going to get decent investment returns unless you’re willing to take risks. Investments such as stocks and real estate have generated better returns over the long haul. These investments carry risks, though, and aren’t guaranteed to produce any return. When you don’t have a burning investment option, paying down your mortgage as your cash flow allows is usually wiser. If you have extra cash and have contributed the maximum allowed for retirement accounts, you may want to invest in real estate or perhaps a business. You have to decide if it’s worth the extra risk in making a particular investment rather than paying down your mortgage. As we’ve stated for a number of years now, we were concerned with the increasing promotion and popularity of interest-only and other low down payment mortgages. Not only do such loans carry higher interest rate and other costs (such as private mortgage insurance), but consumers may also be in for some rude surprises. For example, interest-only loans lure people with their relatively low initial payments. However, years into the mortgage, the payment leaps higher as you begin to finally work at paying down the principal. How Large A Down Payment? What if you’re in the enviable and fortunate position of having so much money that you can afford to put down more than a 20 percent down payment (which generally is the amount needed to qualify for better mortgage terms, including not having to take out private mortgage insurance)? Perhaps you’re one of those wise people who don’t want to get stretched too thin financially, and you’re buying a less expensive home than you can afford. How much should you put down? Some people, particularly those in the real estate business (and even some tax and financial advisors), say that you should take as large a mortgage as you can for the tax deductions—that is, don’t make a larger down payment than you have to. This is silly reasoning. Remember that you have to pay out money in interest charges to get the tax deductions. Again, what makes sense for you depends on your alternative uses for the money. When you’re considering other investment opportunities, determine whether you can reasonably expect to earn a higher rate of return than the interest rate you’ll pay on the mortgage. In the past century, stock market and real estate investors have enjoyed average annual returns of around 10 percent per year (just remember, the past doesn’t guarantee the future). So if you borrow mortgage money at around 7 percent today, you may come out ahead by investing in these areas. Besides possibly generating a higher rate of return, other real estate and stock investing can help you diversify your investments. Of course, you have no guarantee that you can earn 10 percent each year. And don’t forget that all investments come with risk. The advantage of putting more money down for a home and borrowing less is that paying down a mortgage is essentially a risk-free investment (as long as you have emergency money you can tap). If you prefer to limit the down payment to 20 percent and invest more elsewhere, that’s fine. Just don’t keep the extra money (beyond an emergency reserve) under the mattress, in a savings account, or in bonds that provide returns lower than the mortgage is costing you. When your mortgage has a higher rate of interest than loans currently available, you may save money by refinancing. Because refinancing requires money and time, you need to crunch a few numbers and factor in taxes to determine whether refinancing makes sense for you. Ask your mortgage lender or broker how soon you can recoup the refinancing costs, such as appraisal expenses, loan fees and points, title insurance, and so on. For example, if completing the refinance costs you $2,000 and reduces your monthly payment by $100, the lender or broker typically says that you can save back the refinance costs in 20 months. This estimate isn’t accurate, however, because you lose some tax write-offs when your mortgage interest rate and payments are reduced. You can’t simply look at the reduced amount of your monthly payment (mortgage lenders like to look at that reduction, however, because lowering your payments makes refinancing more attractive). To get a better estimate without spending hours crunching numbers, take your marginal tax rate for example, 28 percent and reduce your monthly payment savings on the refinance by this amount. For example, if your monthly payment drops by $100, you really save only around $72 a month after factoring in the lost tax benefits. So you recoup the refinance costs in 28 months ($2,000 of refinance costs divided by $72) — not 20 months. If you can recover the costs of the refinance within a few years or less, go for it. If it takes longer, refinancing may still make sense if you anticipate keeping the property and mortgage that long. If you estimate that you need more than five to seven years to break even, refinancing probably is too risky to justify the costs and hassles. If you’ve run up high-interest consumer debt, you may be able to refinance your mortgage and pull out extra cash to pay off your credit cards, auto loans, or other costly credit lines, thus saving yourself money. You usually can borrow at a lower interest rate for a mortgage and get a tax deduction as a bonus, which lowers the effective borrowing cost further. Interest on consumer debt, such as auto loans and credit cards, isn’t tax-deductible. Borrowing against the equity in your home can be addictive and may contribute to poor spending habits. An appreciating home creates the illusion that excess spending isn’t really costing you. Remember that debt is debt, and you have to repay all borrowed money. In the long run, you wind up with greater mortgage debt, and paying it off takes a bigger bite out of your monthly income. Refinancing and establishing home-equity lines also costs you more in loan application fees and other charges (points, appraisals, credit reports, and so on).